June 24, 2016 by Ken Ward Jr. 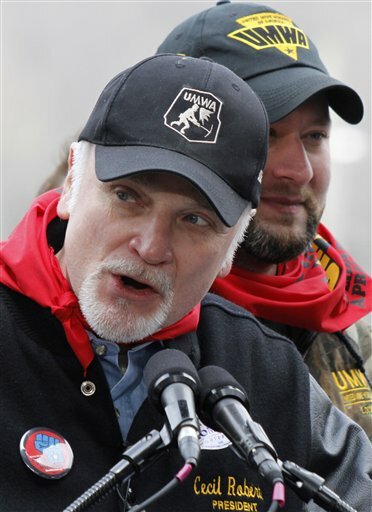 UPDATED: The UMWA rank-and-file rejected this contract proposal. The United Mine Workers of America (UMWA) announced today that it has reached a new tentative collective bargaining agreement with the Bituminous Coal Operators Association (BCOA) that will be submitted to its membership next week for ratification. UMWA Local Unions will explain the proposal to members over the weekend and the ratification vote will take place next Tuesday, June 28. Details of the proposed agreement will not be released until after the ratification vote is tallied. Murray American Energy, Inc. (“Murray American”) announced today that the Bituminous Coal Operators Association, Inc. (“BCOA”) and the United Mine Workers of America (“UMWA”) have reached a tentative labor agreement which, if ratified, will run from June 30, 2016 to December 31, 2021. Mr. Robert E. Murray, the Chief Executive Officer of Murray American and Chairman of BCOA, said “We are pleased that the BCOA and UMWA have reached this very important tentative agreement, which will go a long way in ensuring that Murray American’s UMWA-represented employees are able to continue working, even in this very depressed coal marketplace. Indeed, over the past several years, the United States coal industry has been absolutely destroyed by policies of the Obama Administration and by the increased use of natural gas to generate electricity. Coal markets and prices have generally been cut in half. This tentative agreement provides the BCOA and UMWA with a path forward, even in these extremely difficult times.” The tentative agreement is subject to ratification by the members of the UMWA. Murray American subsidiary companies which are members of the BCOA, include: The Ohio County Coal Company, which operates the Ohio County Mine; The Marshall County Coal Company, which operates the Marshall County Mine; The Marion County Coal Company, which operates the Marion County Mine; The Harrison County Coal Company, which operates the Harrison County Mine; and The Monongalia County Coal Company, which operates the Monongalia County Mine. Murray American currently has over 1,500 UMWA-represented active employees. The Ohio Valley Coal Company and The Ohio Valley Transloading Company, which together have over 200 UMWArepresented active employees, will also be voting on the tentative agreement with the UMWA.